Play in our world and win in yours! Say goodbye to boring ‘interactive’ learning. 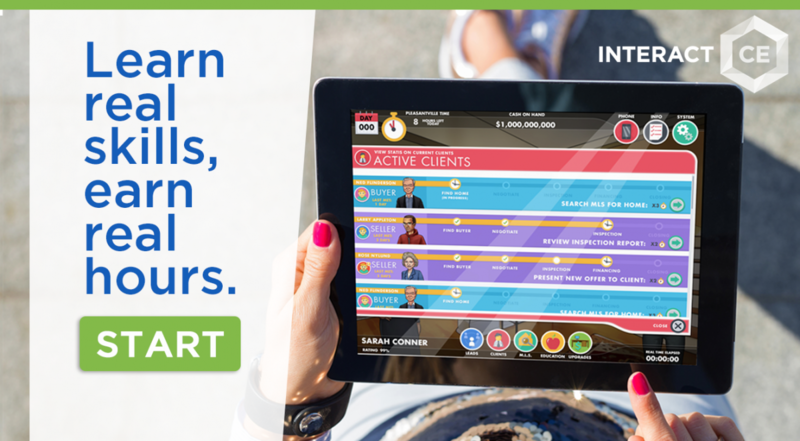 In our world, you’ll attract customers, get listings, and win contracts. Play on any device! Your hours accumulate on any device. Start playing on your computer and continuing playing on your iPad. We'll pick up where you last left off and track your total time to credit it towards your license renewal. Get more info or sign up here.